When Denise Karkos presents to her company’s board, she speaks their language. The chief marketing officer at TD Ameritrade doesn’t just attend a meeting and show a commercial; she drops phrases like “incremental revenue” and “profit driver” while talking about how the brand’s advertising has served the company from a credibility standpoint. It’s a pointed strategy that has been a crucial factor in the brokerage’s marketing growth. “How TD Ameritrade sees the marketing department has pivoted from a cost center to a revenue driver because we’re able to prove the efficacy of the spend,” says Karkos. From the get-go, Karkos branded herself as a numbers-based executive and set about strengthening her data and analytics team, doubling it to 50 from 25 staffers during her six-year tenure. Now, because she can prove with numbers how effective a creative campaign has been for the company, Karkos gets the board-approved leeway for more marketing experiments. Last year, TD Ameritrade pursued new, and rather radical ways of reaching customers through technology. The brand allowed consumers to trade via Twitter and was an early financial adopter of Facebook Messenger. The company also had a little fun: It put an ad on blockchain. For $23.15 in bitcoin, TD Ameritrade encrypted a message and imagery on cryptocurrency for seasoned traders to discover. The idea for a blockchain ad came from Havas New York, which has worked on creative and brand strategy for Karkos and her team of 250 marketing staffers since 2014. TD Ameritrade splits its media buying between [email protected] and Spark Foundry. In 2018, TD Ameritrade spent $136.3 million on measured media in the U.S., according to Kantar Media. Karkos’ team approach has helped set her apart from her CMO peers, according to Tim Maleeny, president and chief strategy officer at Havas. After graduating Notre Dame with a major in business administration and a focus on marketing, Karkos earned her chops on the agency side of the business as a media buyer with Initiative, before moving on to Hill Holliday, Digitas and the Via Agency. But it wasn’t until she made the jump to TD Bank in 2006 that Karkos says she truly discovered the ability to drive results. 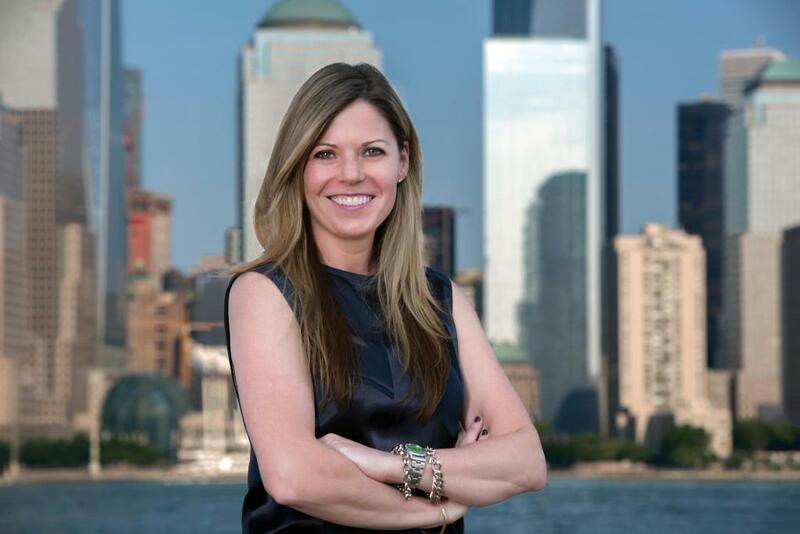 From TD Bank, she transitioned to the faster-paced brokerage brand in 2010. “When you can hear a CFO talking about financials and marketing contributions, it’s so validating,” she says. Karkos’ experimentation isn’t limited to the digital arena. TD Ameritrade found out on the Thursday before the Super Bowl that there was a last-minute pre-game slot opening, and Karkos jumped on it with creative that connects Lionel Richie’s “All Night Long” earworm with the brand’s 24/7 trading and bitcoin futures. Aired just after the national anthem, the spot reached 68 million viewers at a fraction of the $5 million price tag of an in-game spot; new accounts opened afterwards were 72 percent higher than the same time period in 2017. Some on Twitter voiced their love. “Lionel Richie’s Ameritrade commercial is everything,” tweeted user @yolandaelliot16 shortly after the ad ran. And the board's reaction? The chairman shared it with the college football team he coaches and they all cheered.